He was named by The Atlantic Monthly "the most sought-after strategist in the Democratic party." He was targeted by National Review as the Democratic Party's "poet goon." From his unique perspective, Robert Shrum gives us an epic and personal story of the struggle for power in America during the past four decades.With wit and humor, rare candor, and a wealth of detail, Shrum vividly recounts the real personalities and real forces that shaped the outcome of the closest and most important elections of our time. We are there with him in the back rooms, on the planes, and in the motorcades with Ted Kennedy, Al Gore, John Kerry, John Edwards, and Bill and Hillary Clinton.Shrum reveals the manipulations and limitations of old and new forms of political persuasion, from the historic and sometimes controversial speeches he wrote to the negative ads he created for national and statewide candidates, from prepping presidential nominees for critical debates to the deployment of the new political weapon, the Internet.He lifts the curtain on decisive moments. Did John Kerry and John Edwards actually believe in the Iraq war they voted for? What was the real reason the Kerry campaign didn't respond faster to the Swift Boat attacks? Why didn't Al Gore let Bill Clinton campaign all-out in 2000? How did Clinton get through the first perilous week of the Lewinsky scandal?This is a provocative journey through recent history: George McGovern's antiwar campaign of 1972, the improbable rise of Jimmy Carter, Senate campaigns that made historic breakthroughs and shaped the presidential contests of the future, the gifts that made Bill Clinton a great politician-and the circumstances and calculations that kept him from being a great president.As strategist, adviser, and often friend to the leaders he enlisted with, Shrum shows them as they are, with their strengths and human weaknesses-as well as his own.Assailed as a populist who pushed the Democratic Party (in a phrase he coined) "to stand for the people, not the powerful," Shrum argues that unlike Republicans from Reagan on, Democrats fall short, politically or in office, when they trim their convictions and walk away from fundamental issues-like universal health coverage.This is one of the most fascinating books ever written about the victories and defeats, the causes and candidates, the "flawed heroes" that drive the high drama of American politics. 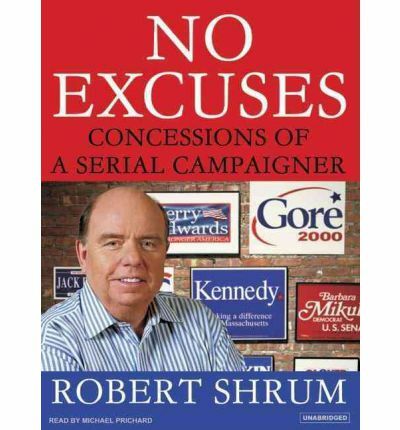 About the Author: Robert Shrum has been at the center of Democratic politics longer than virtually any other operative. Involved in more than thirty winning Senate races, he was senior strategist in the Gore 2000 and Kerry 2004 campaigns. He is a Senior Fellow at New York University's Robert F. Wagner School of Public Service. He lives on Cape Cod with his wife, the writer Marylouise Oates.Narrator Michael Prichard is a Los Angeles-based actor who has recorded more than 350 audiobooks including novels by Clive Cussler and Tom Glancy. He recently was named one of Smart Money's Top Ten Golden Voices. Note: This is in mp3-CD formatting. This signifies it will only run on a cd player especially prepared to play mp3-CDs. It as well can be installed onto a personal pc and cloned over to various mp3 players and played on them.